8 AM, the Vatican. Still no white smoke. 8 AM, Venialbo (Spain). If white smoke. The vineyards are tucked behind a slight wake but persistent snow white. 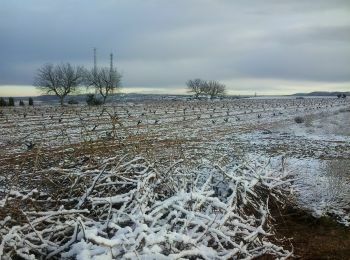 9:00 a.m., Venialbo (Spain). No news of any kind, I sit by the window with my fried egg with paprika, as did my grandfather, my bottle of Valnuevo , 2006, reserved for an occasion, and watched the sun awakens reflecting on the snow. Year of snow, year of white smoke coming ….. …. Avemus Pope?